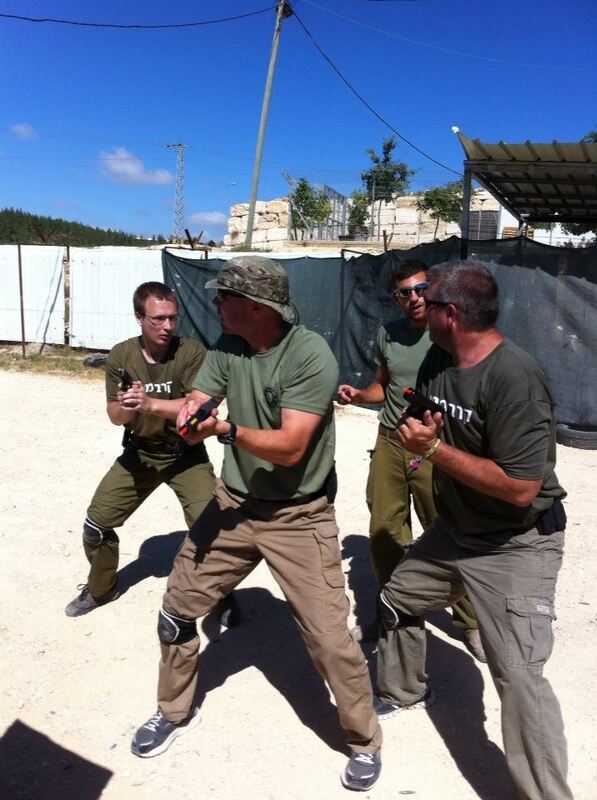 Counter terrorism training, Israel is a leader in this field as well as in Krav Maga and Hi Tech technology. Matthew, Colby, Matan and Greg. The entire country, all of Israel, is gripped with one issue only; the missing young men taken hostage by our enemies. Wherever you go, "Have you heard any news? Anything at all?" Yesterday at the counter terror base with our Tour and Train group I saw some young men. They were in uniform, IDF soldiers and former students of Counter-Terror expert Eitan Cohen. I asked them what they knew. They said they were involved in the searching. "What unit are you in?" I asked, because I wanted to know which units are involved in the search. They responded, "All units are involved, the entire army is searching for the guys". The entire army. Everyone is doing what they can, what they must. People do not sleep at night. For the Guardian of Israel neither sleeps nor rests. Esther said to me, "I feel I should be doing something, I want to join the search". But I told her that that is not our job at the moment and we are not trained for that. And yet, each and everyone of us must contribute, if not directly then indirectly. I spoke to Esther, and to Kandy from Colorado. I said we all must do what we can. We at IKI are teaching Krav Maga to the world, we are inviting people to Israel and teaching them our way of fighting and our way of life, that is our share in this struggle. Our guests from abroad are doing their share as well. They are taking a message home to their people, they are sharing their first hand knowledge of the situation here and they are sharing their Krav Maga skills. On this Tour and Train session we certified several new instructors including Kandy's husband, Mike Jensen from Colorado. 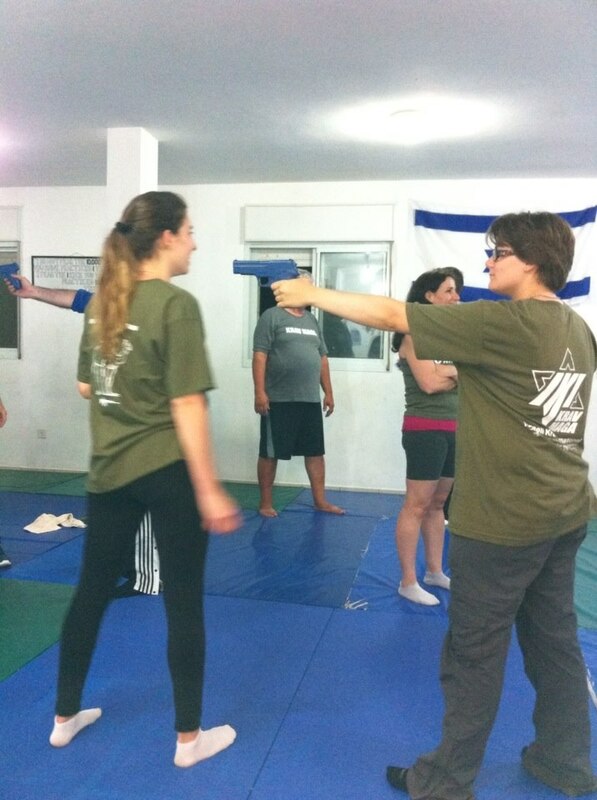 They will go home and teach real Krav Maga and they will share their Israel experience with others. We all have our share in the struggle. Years ago I was sitting in a synagogue in Jerusalem, and the rabbi spoke profound words. He interpreted the words of the rabbis, "Give us our share in the Torah". The rabbi said, "Not all of us were destined to be great scholars, not all of us will come up with original interpretations or scholarly work, but each of us has his own share in the Torah, each of us can study and achieve and contribute. Give us our share, for each one of us has a unique share." Those profound words have guided my life. Not everyone can be a warrior, not everyone can be a combat soldier, not everyone can be a Krav Maga innovator or a leader of an international organization. But that does not matter, each one of us has his own unique individual "share" in the struggle. And none is more important than the other. Each one of us was blessed with different talents and opportunities to contribute. Colby Taylor from Michigan said, "Many members of our church want to contribute to Israel, to this struggle, but they do not know what to do". I answered that of course there are countless ways, but one way that comes to mind is - Send some worthy Krav Maga student to Israel on Tour and Train. Sponsor a participant and then have them come home and give a presentation of what they learned and experienced. Each and every one of us has a part to play. Countless Israeli soldiers are searching for our young men taken hostage, countless others are working in support roles. Others are helping the families, and we are training as many people as possible to fight back, not to be a victim, here in Israel and all over the world. Janet from the USA and Matthew from the UK practice Krav Maga knife defense. Janet is now a certified Krav Maga Instructor at Blue Chip Academy in Fairfax, Virginia, USA. Tour and Train participants, from all over the world, young and old, male and female, beginners and advanced. 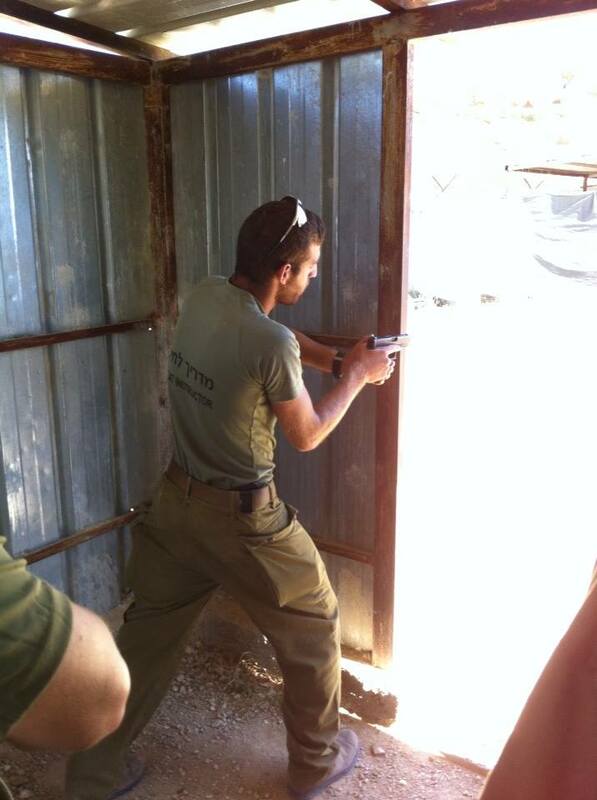 Truly understand Krav Maga, Understand Israel. Sessions each March, November and June. For more information please see.